British Prime Minister Theresa May said on Thursday there would be dire consequences for Britain if it failed to get a good Brexit deal, and said the coming five years would be among the most challenging in our lifetime. 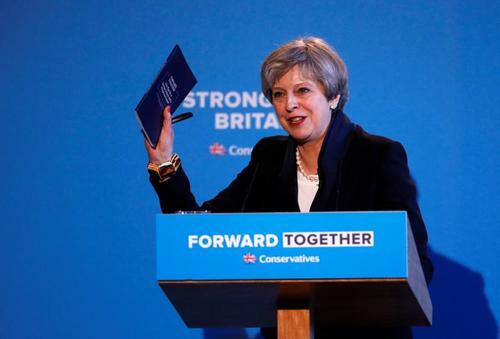 May made the remarks during a speech presenting her Conservative Party's policy pledges to voters ahead of a June 8 parliamentary election the party is widely expected to win. "Make no mistake, the central challenge we face is negotiating the best deal for Britain in Europe," May said. 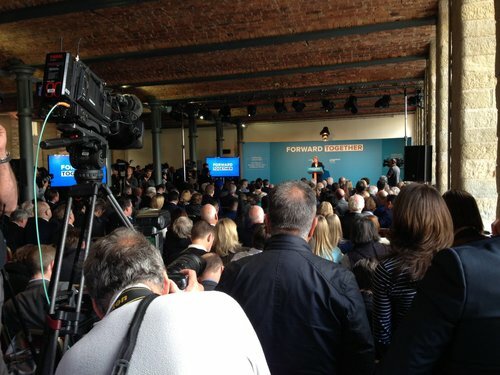 "If we fail, the consequences for Britain and for the economic security of ordinary working people will be dire. If we succeed, the opportunities ahead of us are great." 'I don't talk in terms of a hard Brexit or a soft Brexit...' Theresa May is cheered by the party on her EU negotiation stance. Factbox - What are May's plans for corporate reform and Brexit? 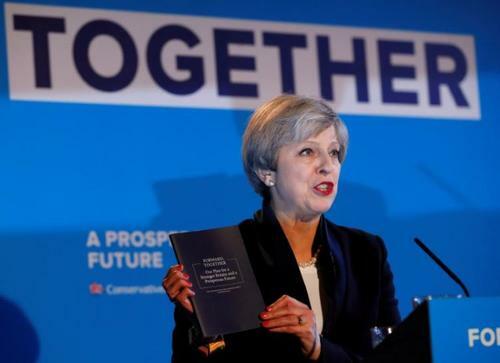 Reuters UKSetting out her pitch to voters, British Prime Minister said on Thursday she will press on with her approach to Brexit, cut immigration and introduce corporate reform. Reuters UKPrime Minister Theresa May vowed to make it harder for foreign companies to take over British firms and threatened to clamp down on soaring executive pay as she set out plans for the government to take a greater say in the running of UK Plc. 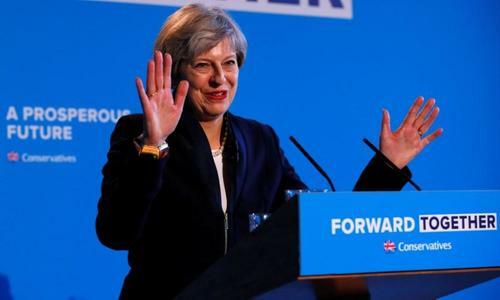 Reuters UKPrime Minister Theresa May promised on Thursday to wipe out Britain's budget deficit by the mid-2020s if her Conservative Party wins the June 8 national election, sticking to a softer fiscal programme she adopted after taking power last year. Britain's ruling Conservative Party on Thursday pledged to roll the Serious Fraud Office (SFO) into a broader, national crime-fighting body if it wins the June 8 national election. According to a manifesto document listing the party's policy proposals, Prime Minister Theresa May's party wants to incorporate the SFO into the National Crime Agency (NCA) to "strengthen Britain's response to white collar crime". British energy suppliers Centrica CNA.L and SSE rose on Thursday, extending gains after the UK Conservative Party's manifesto pledge to cap household energy tariffs soothed investors' worries about the severity of the caps. Centrica rose 4 percent, while SSE gained 1.8 percent. Both had been hit earlier in the month when Prime Minister Theresa May's Conservative Party said that they would cap domestic prices if they won a general election in June. Analysts at Jefferies and Bernstein both said that the hit to the companies from the proposed price cap might not be as great as initially feared. Reuters UKPrime Minister Theresa May pitched selective market intervention and stiffer rules for businesses as the tonic Britain needs to navigate Brexit when she unveiled her main pre-election pledges on Thursday. Reuters UKBritish Prime Minister Theresa May is likely to win a majority of 104-190 seats in the June 8 election, Citigroup said in a research note published on Friday. Reuters UKBritain's ruling Conservatives are expected to outspend the opposition Labour Party on campaigning for next month's election, with many of their traditional business backers opting to stick with them despite concerns over Brexit. 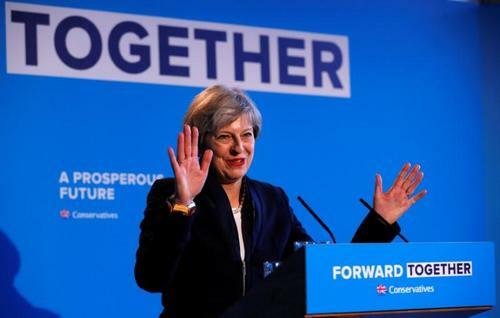 Reuters UKPrime Minister Theresa May vowed to make it harder for foreign companies to take over British firms and threatened to clamp down on soaring executive pay as she set out her plans for Britain if her Conservative Party wins a parliamentary election on June 8. ICYMI: Labour leader Jeremy Corbyn campaigns in Cambridgeshire. May: "Only the Conservative + Unionist Party has the strength and credibility to stand up to the Nationalists and defend our United Kingdom"
Ruth Davidson says she wants to give Sturgeon some advice: "The PM says she is a bloody difficult woman, well you ain't seen nothing yet." 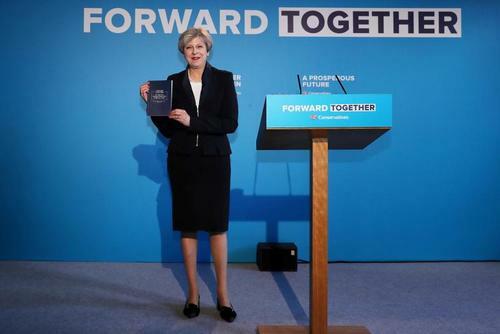 ICYMI: Prime Minister Theresa May addresses the Scottish Conservatives at the launch of their election manifesto. ReutersThe leader of Prime Minister Theresa May's Conservatives in Scotland on Friday made a plea to supporters of Britain's opposition Labour Party to lend her their vote at next month's election to halt the march of the Scottish nationalists. Reuters UKPrime Minister Theresa May will on Monday urge voters to back her to deliver the country's exit from the European Union, playing one of her strongest cards in the election campaign as opinion polls show that her party's large lead has shrunk. Britain will cap the amount elderly people have to pay for social care, Prime Minister Theresa May said after a backlash against her election proposal to make more people contribute to the costs. Opinion polls ahead of a June 8 election have shown the lead enjoyed by her governing Conservative Party has halved since she set out proposals last week to reduce financial support for some elderly voters. 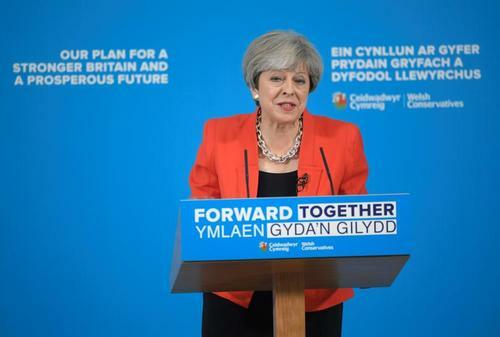 "We will come forward with a consultation paper ... and that consultation will include an absolute limit on the amount people have to pay for their care costs," she said at the launch of her party's election policy document in Wales. "We will make sure nobody has to sell their family home to pay for care. We will make sure there's an absolute limit on what people need to pay. And you will never have to go below 100,000 pounds of your savings, so you will always have something to pass on to your family." Reuters UKBritish Prime Minister Theresa May made a public climbdown on Monday over plans to force elderly people to pay more for their social care, after her governing Conservative Party's opinion poll lead halved in the run-up to a national election. Reuters UKBritish Prime Minister Theresa May was forced to publicly backtrack on one of her most striking election pledges on Monday after plans to force elderly people to pay more for their social care halved her party's opinion poll lead in just a few days.